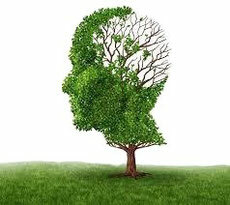 We all read interesting articles and fascinating books or watch thought-provoking movies and plays. Many of us have a podcast addiction that threatens to consume all of our waking hours. Here is space for reviews from any and all members. If you would like to submit your review of anything you've been enjoying lately, please email it to submissions@kwhungryminds.com. It’s one of these books that once you start reading, you don’t want to stop. A captivating account of the lives of a few Muslim women and a recent convert. 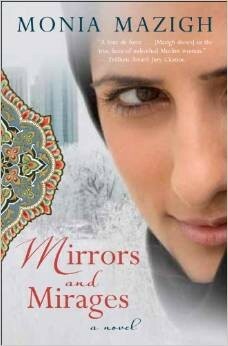 It showcases stories of contemporary women whose faith plays an important rule in their lives. The stories there highlight internal struggles that most Muslim women experience when it comes to family and belonging, social acceptance, balancing tradition and modern life, love and relating to men, and spiritual growth. Definitely the stories there are something hardly covered in mainstream media. I think its great to have in the literature as it shows the human side of these otherwise misunderstood females. The stories are open ended and the reader would be left hoping that the book would have a follow up copy, or be content with the product of their imagination. We all have heard the famous quote by Einstein, "we can't solve our problems with the same thinking we used when we created them". 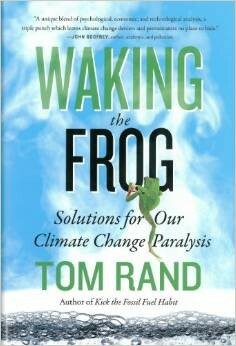 In this book, Rand offers new ways of thinking about climate change facing humanity at large, and a new direction for the future. The book analyzes in depth and with numbers the current political climate in North America, popular perceptions and reactions to the science and commentary on climate change, and economic models currently in use with inherit assumptions that are simply inadequate to capture the complexity of the problem before us. Written in a language that is easy to follow and understand, and is full of analogies and footnotes to help the reader connect the dots. Rand invites us all to break old habits and patterns of thinking that have gotten us to where we are now when it comes to our relationship with nature. We are invited to think globally and act locally across multiple disciplines, from science and engineering, to economics and policy, to art and philosophy. Hence, regardless of your expertise, there is something in this book for you.